It’s another big weekend in “Music City, Minnesota”. 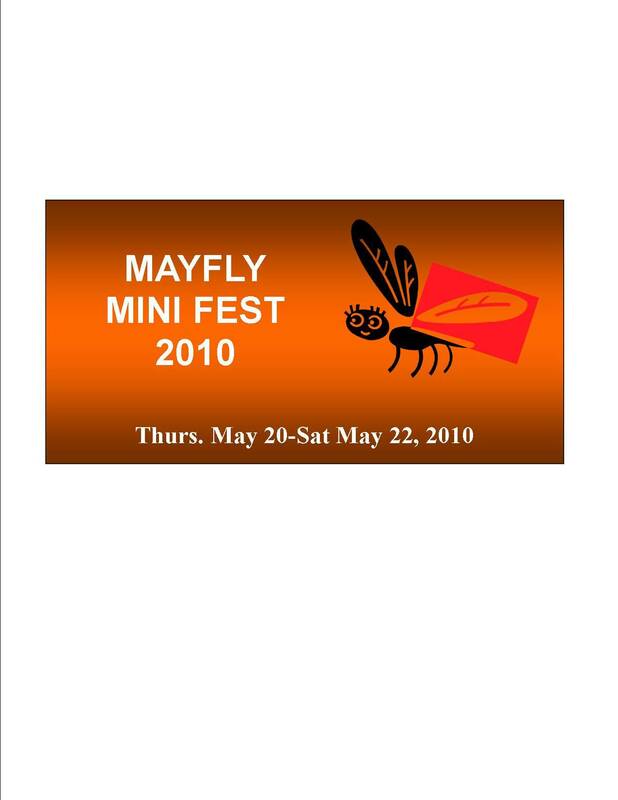 The Contented Cow is hosting a three-day music festival, known as MayFly. Thursday, May 20th, it’s Cary Langer, 5 p.m., God Save Norman, 8 p.m., and Study Hall, 11 p.m., all at the Contented Cow. There’s a St. Olaf/ Carleton Student Art Event (hey, show us the way in collaboration Oles and Carls! ), 5 to 8 p.m., at downtown’s hippest venue, Oolala. The Northfield Wine Club (public invited), is hosting a tasting, 7 to 9 p.m., at the Grand Event Center. Finally, Chris Herriges, 8 to 11 p.m., at the Tavern Lounge. Friday, May 21st, it’s Bridgewater Ramblers, 5 p.m., Pot Luck and the Hot Dishes, 8 p.m., and Marty Anderson and the Goods, 11 p.m., all at the Contented Cow. Tim Freeland, 6 to 8:30 p.m., Butler’s Steak & Ale, Movie Night: “Up”, 7 p.m., High School Auditorium, Norwegian Cowboy, 7 to 11 p.m., Tavern Lounge, and Duke Zecco, 9:30 p.m. to 12:30 a.m., Froggy Bottoms. Saturday, May 22nd, it’s Chance Meeting, 5 p.m., Mr. Sticky, 8 p.m., and Tailchaser, 11 p.m., all at the Contented Cow. Wendy Russell, 6:30 to 9 p.m., Butler’s Steak & Ale, High School Choir Concert, 7:30 p.m., Middle School Auditorium, Carleton Singers and the Carleton Choir, 8 to 9 p.m., Concert Hall on the Carleton College campus, Live Jazz at Butler’s Steak & Ale, and Down Lo at the Upstairs Rueb’N’Stein. Sunday, May 23rd, it’s Northfield Troubadours Spring Concert, 3 p.m., St. John’s Church, Chinese Music Ensemble, 3 to 4:30 p.m., Concert Hall on the Carleton College campus and Politics and a Pint, 6 p.m., Northern Roots Session, 7 p.m., and Quiz Night, 8 p.m., all at the Cow.